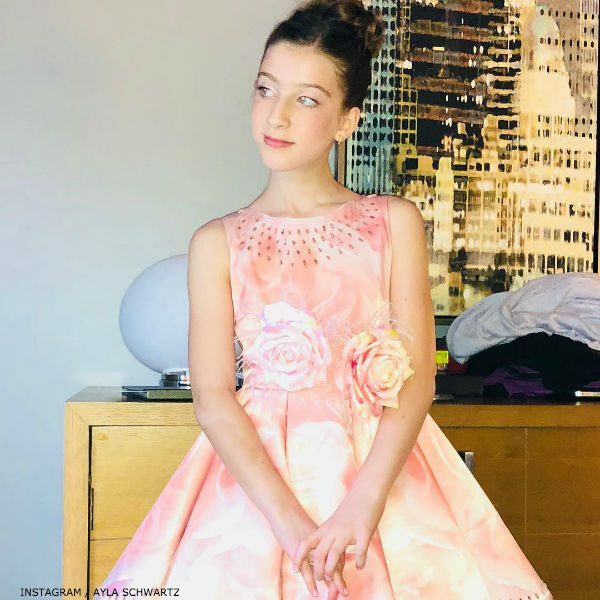 Actress Ayla Schwartz posted this photo at the Tony 2018 Awards wearing this gorgeous JUNONA Girls Pink Crystal Roses Dress. 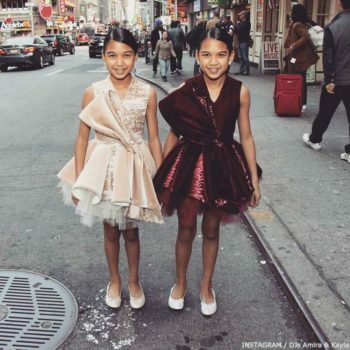 11-year-old Ayla currently plays the role of Young Elsa in Disney’s FROZEN the Musical on Broadway at the historic St. James Theatre in New York City. This Junona pink roses occasion dress features exquisite crystals and two large roses with feathers and diamanté. Perfect for a red carpet event, this special dress has an asymmetric hem with layers of long length tulle and is fully lined in cotton for a comfortable fit. Comes with a matching necklace, embellished with golden chain and logo plate. 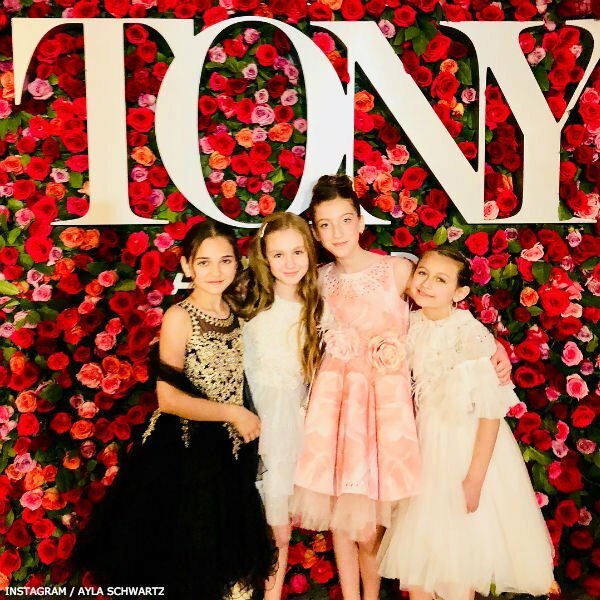 This adorable picture from the Tony Awards includes Frozen actresses Mattea Conforti MiMi Ryder, Ayla Schwartz and Zoe Glick. Ayla was dressed by online retailer Childrensalon, the exclusive online retailer for Bulgarian-based fashion house Junona. You can shop this gorgeous pink crystal roses dress online, which is now on sale! Ships worldwide.